Beginning in 1892, as a “cure” for Parkinson’s disease, vibration has been used as a non-invasive therapy to provide numerous positive physiological and psychological results. The following compilation reviews some of these studies and is presented as resource for those interested in further exploring the use of High Fidelity Tactile Sound or broadband vibroacoustic’s as an alternative to more invasive therapeutic methods and chemical intervention. As a point of information, HiFi Wellness, LLC. 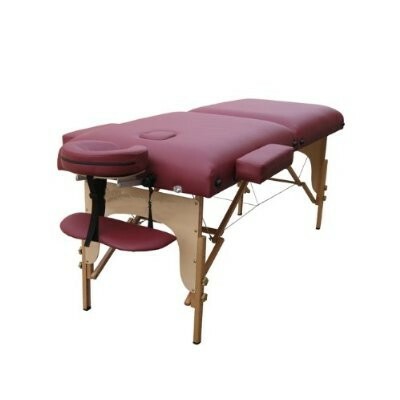 VibroAcoustic Massage Tables can effectively provide all of the below mentioned frequencies, and frequencies well beyond those listed, and at a low sound pressure level, defined as a requirement by some of the following studies. Hifi Wellness utilizes high fidelity tactile sound transducers developed for military simulation, major theme parks and home theater applications. Amplification is provided by high efficiency, class “T” digital amplifiers suitable for audiophile use. The tables have wireless capability, as an option, and can source signals from any Bluetooth enabled device such as personal computers, the i-Phone, i-Pad or Android Smart Phones. Who is said to be the most authoritative doctor of the 19th century for Parkinson disease and other movement disorders. In 1893, Charcot discovered patients with Parkinson disease felt better after a lengthy carriage ride, and he developed a theory that the shaking and vibrations from the ride somehow eased Parkinson symptoms. To test the hypothesis, Charcot designed a noninvasive therapy using a shaking chair for his patients. Those who used the shaking chair reportedly had less pain and stiffness and improved sleep quality. Practical work with VAT started in Norway 1980. Spread to USA and European countries by 1984. VAT and Olav Skille is widely referred on Internet web sites, both in reports and in reference tables. Skille observed that sound has these general effects on humans, from any race or culture. Patient is placed directly upon sound source that transfers sound vibrations to the body. Duration of one therapy session: Normally :23 minutes. Session can be prolonged at will. Olav Skille has via evidence based research made on humans found the frequencies that have predictable effect on several described conditions of health issues. Music also can have physical effect when transferred to the body, but the content of frequencies is so great that one does not know which elements are the active ones. There now are 5 basic frequencies available for therapists who want to use VAT in their practical work. Special frequencies available for experienced therapists. Dr Butler is a thoracic surgeon from Grand Rapids Michigan and has identified these healing frequencies and patented the method for producing them referencing the transducers I developed as the preferred embodiment. It is known that the brain generates oscillating waves at 40 Hz. There is a small variation between individuals. Using the “resonance theory” one would wish to set up a resonance between the vibratory elements and the subject’s brain. The sine wave stimulation program passing through each vibratory element may scan between 39 and 41 Hz. The effect of this scanning is the ability to achieve a resonance frequency in a higher proportion of treated subjects. A simple example of such a program might be one that starts in the vicinity of 40 Hz scanning at variable rates up to 58 Hz thus creating a pleasant massage effect on the thighs as well as lower and upper back. At an institution for multi-handicapped patients having impaired psychic development, it was discovered that vibro-acoustical treatment gave a spasm-resolving effect at a frequency of about 40 Hz. The spasm-resolving effect was so dominant that the patients were more easily available for manipulating physiotherapy after, or while still under vibro-acoustical influence. Neck/shoulder pains: Such pains, either of the myalgic type, or as a result of stress of different cause, was eased substantially at particular frequencies, in particular at about 68 Hz. Repeated treatments, i.e., up to 10 treatments of 30 minutes each, proved to provide relief of longer duration. Lumbago: Pains in the lower back region were relieved at particular frequencies, in particular at about 50 Hz. For pains caused by muscular tensions, relief of longer duration upon repeated treatments was observed. Menstrual pains: Premenstrual pain and tension and the like proved to be relievable by using a particular frequency, 52 Hz. Treatments each day in the “acute” phase as well as once per week in the middle phase, repeated over 2-3 periods appeared to provide the desired effect for a longer duration. Asthma: Vibro-acoustical treatment at about 50 Hz appeared to provide an effect which aids the patient to loosen and expel phlegm from the air passages. Stress-induced depression: A dramatic positive effect was observed after the first treatment which lasted for approximately 30 minutes. The positive effect is dependent on both frequency (68 Hz) and the choice of music. The successful treatment was terminated after 10 treatments. during the last treatments, there was used a variety of frequency ranges and activating music. Athletic injuries: The treatment has provided a good result. Both acute muscular trauma and post-operative convalescence has reacted positively to the sequence 40/60/80/60/40 Hz with approximately 6 minutes duration per frequency. Muscles and tendons in a tensioned state are released and are stretchable with lesser discomfort than without vibroacoustical treatment. Rheumatism: Long-term treatment (10 to 20 treatments) with a frequency of 68 and 86 Hz has provided a lasting improvement for patients with rheumatic pains and/or damage due to wear. The treatment was provided daily or every other day, with a duration of 30 minutes. Muscular cramps: Upon cramping in a muscle, dissolvement of the cramp condition was observed at a frequency 40/60 Hz after approximately 2 minutes. General stress-discomfort: Tuned frequency and music in an environment shielded from the outside world during a period of 30 minutes provided a stress-dissolving effect and appeared to supply the person with new vitality. In addition to the storage medium for sound, it should be remarked that a beating sinusoidal tone is made by recording, on top of a primary frequency, a secondary frequency having a deviation of 0.2 to 2 Hz. “The beat velocity” should be present and should be tuned to the quality of the music which is required to be used in addition to the low frequencies. The beat program is then recorded on one of the two tracks on the storage medium, e.g. a tape cassette, sound-on-sound with the selected, preferably filtered, music. Pure music is recorded on the other track. As previously mentioned, one could use, e.g., all four tracks on the tape cassette by using a sound head adapted thereto, to improve the reproduction of sound (e.g., 2-channels), and possibly to extend the beat program. An important finding in this study was that mechanical sinusoidal waves are highly unspecific stimuli which can activate many different receptors in the skin and subjacent tissues. It isolated the Pacinian corpuscle as the only known receptor which has approximately the same density all over which will respond to high frequency vibrations between 100Hz-400Hz. Studies on vaso-dilation were carried out by Skoglund (1989), looking particularly at the effect of higher frequencies (150Hz-250Hz) on changes in skin temperature. Areas of the body surface which were tested included the face, hands, parts of the legs, arms and trunk in a total of 130 vibration experiments performed on 80 healthy men and women between 20 and 70 years old. He used the technique of infra-red thermography to indicate temperature changes and vaso-dilation. His results supported the view that vaso-dilation is due to a reflex inhibition of pre-existent vaso tone in the skin by the afferent in-flow from vibration-sensitive mechanoreceptors. As in previous experiments, he also found that high-amplitude vibration which he used in a few comparative experiments caused vaso-constriction. He also found that the increase in temperature to the given stimulus is greater the lower the prevalent skin temperature at inception of the stimulus. For example, for polyarthritis, it has been recommended to use frequencies between 40Hz and 60Hz, whereas for migraine and headaches, the use of frequencies between 70Hz and 90Hz were recommended. Low back pain could be treated by frequencies between 50Hz and 55Hz. Over fifty reports have shown that over fifty per cent of patients treated for fibromyalgia have been successfully helped with a reduction in pain symptoms. In an analysis of the effect of music vibration on the sensory and mechanoreceptors in a study on pain. Their studies have found a significant effect when given stimulation within a specific frequency range (60Hz to 600Hz) using a Music Vibration Table (MVTtm) on pain receptors resulting in a reduced perception of pain by subjects (Chesky, 1992). They have also drawn attention to the lack of specificity regarding the stimulus used in other studies, in particular the nature of the music used (Michel and Chesky, 1993). Michel and Chesky used equipment which was adjusted to generate greater activity in the frequency ranges known to produce pain relief (approximately 100Hz to 250Hz). This research indicated the effect of music vibration in inducing vasodilatation. The research studies undertaken on pain relief by Chesky and Michel (1991) indicated that pain relief associated with music and controlled music vibration is substantial and significantly greater than music alone or use of a placebo. VA therapy has been used to aid muscular problems, particularly where those problems can cause painful conditions. Cerebral palsy has received considerable attention from clinicians looking at the effect of VA therapy in reducing muscle tone. Cerebral palsy is a condition which can react with spasm to over excitement, high stimulation, or sudden stimulation, and therefore relaxing and calming music can be helpful. Some of the treatments that have taken place using VA therapy have also involved doing active physiotherapy during or immediately after the session. Other physically handicapping conditions which have shown a positive response to VA therapy have included multiple sclerosis, Rett syndrome, spasticity, and muscular over-use syndrome. Research in the clinic for children and adults with Rett syndrome at the Harper House Children Service in Hertfordshire, England, has already shown a positive response from almost all of the patients attending the clinic to VA therapy. In short, fifteen minute sessions, using classical and folk music combined with frequencies between 38Hz and 44Hz, observational reports have noted increased levels of relaxation, reduced anxiety, reduced hand plucking, and reduced hyperventilation (Cass et al. 1994; Wigram and Cass, 1995). Pulmonary disorders, including asthma, cystic fibrosis, pulmonary emphysema and metachromatic leucodystrophy. Both metachromatic leucodystrophy and cystic fibrosis have similar symptoms that involves difficulties patients have in coughing up lung secretions and phlegm in order to keep the lungs clear. VA therapy has a palliative effect here in assisting the patient in coughing up secretions, by generating a vibration into the lungs and shifting mucus on the bed of the lungs causing a cough reflex to occur. Skille reported that up to the end of 1994, four children with this specific disorder in Norway were having VA therapy on a daily basis (Wigram and Skille, 1995). Asthmatic problems have been alleviated by VA therapy, with easier breathing, reduced wheezing, and decreased viscosity of the expectorates in the lungs. Because severe asthmatic conditions sometimes cause bronchial spasms, the spasmolytic effect of VA therapy has been helpful in reducing the severity of asthma attacks. The treatment has an effect on psychological state which may or may not affect physiological state. In this group of disorders, VA therapy has been used in the treatment of insomnia, anxiety disorders, self-injurious behaviour, challenging behaviour, autism, depression, and stress. The main claims of the effect of VA therapy with autistic patients are that it relaxes the patient, reduces their resistance to contact, and makes them more open to interaction. It is a tactile experience, so it can also stimulate a feeling of physical pleasure. Insomnia has been treated, and the reports have indicated that patients fall asleep more readily, and that they sleep for a longer period than is usual. 1) Stimulate blood flow throughout the body causing an acceleration in the healing of pressure sores and ulcer. 2) Reduce swelling due to excess tissue fluid. 3) Facilitate relaxation generally, reduce nervous tension and fatigue, ease sore and aching muscles, alleviate high and low back pain and alleviate stiffness in joints through improving the joint motion. (Boakes 1990; Skille, 1989b; Wigram, 1992a). Anecdotal reports reference the specific benefits of vibrotactile and vibroacoustic stimulation to people who have multiple handicap. In particular, these reports indicate the treatment as a method of physically inducing relaxation which can lead to functional improvement, including improved functional positioning, and alleviation of tired muscles in a sustained state of spasm (Boakes 1990; Lehikoinen 1990; Skille 1982a, 1986,1989a; Skille et al. 1989; Wigram and Weekes, 1990b). In the studies using vibrotactile and mechanically produced low frequency vibration, reports on the efficacy of a particular stimulus has varied in the research undertaken to date. Boakes (1990) looked in particular at the effects on muscle physiology via muscle receptors, and advocated that vibration within the range of 20Hz-50Hz causes an inhibition of muscle impulses, so inducing spastic muscles to relax. Within the approximate range of 50Hz-100Hz, her research indicated this stimulates most impulses (TVR) so inducing muscles to contract and conversely causing the antagonist muscles to relax. Therefore the stimulation that occurs on the extensor muscles encourages the flexor muscles to relax which is of great benefit to those who have spasticity. This mid-point of 50Hz, according to Boakes, is approximate, depending on the muscle temperature and the amount of muscle tone present. A cold muscle responds sooner than a very warm muscle, and a muscle without any tone will not respond at all. There is also evidence that low frequency vibration works on the proprioceptors of muscles, possibly by-passing parts of the central nervous system, and working directly on the specific muscle or muscle group to achieve balance and improvement in the condition of the muscle (Boakes 1990). The study documented in this chapter focused on the effect of VA therapy in reducing muscle tone in patients with spasticity. Cerebral palsy is caused as a result of an injury to a part of the brain before it is fully developed. The three main types of cerebral palsy are spasticity, athetosis and ataxia. The patients in this study suffer from spastic disorders. People with spasticity have different levels of muscle spasm, causing a rigidity of the muscles. A spasm is an involuntary and sometimes painful contraction of the muscle, muscle group or of the muscle wall of a hollow organ. Spasms of the whole body are referred to as convulsions, painful spasms of muscles or limbs as cramp, and those in the stomach and abdomen as colic. In cerebral palsied patients the most common form of spasm is a tonic spasm involving a firm strong contraction causing rigidity in the muscles. The spasm effect in spasticity results from a release of the gamma system from higher inhibitory control, and is characterised by a synchronised excitatory phase followed by a synchronised phase of post-excitatory inhibition. After the passing of this phase of post-excitatory inhibition, one of inhibitory excitation returns. These events can be clinically observed in the phenomenon of a spastic muscle and is demonstrated in an exaggerated stretch reflex, “clasp knife”, and the lengthening and shortening of reactions (Bobath, 1972; Bobath and Bobath, 1972). Vibroacoustic and vibrotactile devices that transmit sound as vibration to the body have developed over the last 15 years, and have been reported anecdotally to produce relaxation and reductions in muscle tone, blood pressure and heart rate. Vibroacoustic (VA) therapy is used in clinical treatment and involves a stimulus that is a combination of sedative music and pulsed, sinusoidal low frequency tones between 20Hz and 70Hz, played through a bed or chair containing large speakers. There is limited evidence to support the efficacy of VA therapy in the clinical situations in which it is used. The studies in this thesis investigated the clinical effect of VA therapy, and the effect of elements of the stimulus on non-clinical subjects. A study on 10 multiply handicapped adults with high muscle tone and spasm compared the effect of eight trials of VA therapy with a similar number of trials of relaxing music. A significantly greater range of movement was recorded after VA therapy than relaxing music. No significant difference was found in changes in blood pressure or heart rate. Comparing the effect of VA therapy with music and movement-based physiotherapy (MMBP) and relaxing music alone on 27 subjects with high muscle tone and spasticity revealed no significant difference in range of movement between VA therapy and MMBP, but a significant difference comparing the combined results of MMBP and VA therapy with relaxing music alone. Additional trials found significant differences between VA therapy and music alone. A study on non-clinical subjects (n=39), and a second study (n=52) measured perceived location of bodily vibrations in response to sinusoidal tones between 20Hz and 70Hz through a VA bed. Reports indicated some that frequencies caused sensations of resonant vibration consistently in the same places in the body. A second study on non-clinical subjects (n=60) in three groups found that VA therapy had a significantly greater effect in reducing arousal when compared with relaxing music, and a control, and heart rate when VA therapy was compared with a control. No significant differences were found between the groups in changes in blood pressure. A third study (n=60) found no significant differences between four groups when evaluating the effect of varying rate of amplitude modulation of a 40Hz sinusoidal tone and a constant tone. These studies have clarified the efficacy of VA therapy as an intervention for clinical populations, and the effect of the stimulus on normal subjects. Questions remain about the nature of the stimulus that is used, and its effect on behaviour. NASA-funded scientists suggest that astronauts might prevent bone loss by standing on a lightly vibrating plate for 10 to 20 minutes each day. Held down with the aid of elastic straps, the astronauts could keep working on other tasks while they vibrate. The same therapy, they say, might eventually be used to treat some of the millions of people who suffer from bone loss, called osteoporosis, here on Earth. Although the vibrations are subtle they have had a profound effect on bone loss in laboratory animals such as turkeys, sheep, and rats. In one study (published in the October 2001 issue of The FASEB Journal), only 10 minutes per day of vibration therapy promoted near-normal rates of bone formation in rats that were prevented from bearing weight on their hind limbs during the rest of the day. Another group of rats that had their hind legs suspended all day exhibited severely depressed bone formation rates — down by 92% — while rats that spent 10 minutes per day bearing weight, but without the vibration treatment, still had reduced bone formation — 61% less. These results show that the vibration treatment maintained normal bone formation rates, while brief weight bearing did not. , Deane RS, Triplett NT, McBride JM. Neuromuscular Laboratory, Department of Health, Leisure & Exercise Science, Appalachian State University, Boone, North Carolina 28608, USA. The purpose of this study was to investigate the effects of a single bout of whole-body vibration on isometric squat (IS) and countermovement jump (CMJ) performance. Nine moderately resistance-trained men were tested for peak force (PF) during the IS and jump height (JH) and peak power (PP) during the CMJ. Average integrated electromyography (IEMG) was measured from the vastus medialis,Cormie P vastus lateralis, and biceps femoris muscles. Subjects performed the 2 treatment conditions, vibration or sham, in a randomized order. Subjects were tested for baseline performance variables in both the IS and CMJ, and were exposed to either a 30-second bout of whole-body vibration or sham intervention. Subjects were tested immediately following the vibration or sham treatment, as well as 5, 15, and 30 minutes posttreatment. Whole-body vibration resulted in a significantly higher (p < or = 0.05) JH during the CMJ immediately following vibration, as compared with the sham condition. No significant differences were observed in CMJ PP; PF during IS or IEMG of the vastus medialis, vastus lateralis, or biceps femoris during the CMJ; or IS between vibration and sham treatments. Whole-body vibration may be a potential warm-up procedure for increasing vertical JH. Future research is warranted addressing the influence of various protocols of whole-body vibration (i.e., duration, amplitude, frequency) on athletic performance. , Kannus P, Sievänen H, Järvinen TA, Pasanen M, Kontulainen S, Järvinen TL, Järvinen M, Oja P, Vuori I. This randomized controlled study was designed to investigate the effects of a 4-month whole body vibration-intervention on muscle performance and body balance in young, healthy, nonathletic adults. Fifty-six volunteers (21 men and 35 women, aged 19-38 yr) were randomized to either the vibration group or control group. The vibration-intervention consisted of a 4-month whole body vibration training (4 min.d(-1), 3-5 times a week) employed by standing on a vertically vibrating platform. Five performance tests (vertical jump, isometric extension strength of the lower extremities, grip strength, shuttle run, and postural sway on a stability platform) were performed initially and at 2 and 4 months. Four-month vibration intervention induced an 8.5% (95% CI, 3.7-13.5%, P=0.001) net improvement in the jump height. Lower-limb extension strength increased after the 2-month vibration-intervention resulting in a 3.7% (95% CI, 0.3-7.2%, P=0.034) net benefit for the vibration. This benefit, however, diminished by the end of the 4-month intervention. In the grip strength, shuttle run, or balance tests, the vibration-intervention showed no effect. The 4-month whole body vibration-intervention enhanced jumping power in young adults, suggesting neuromuscular adaptation to the vibration stimulus. On the other hand, the vibration-intervention showed no effect on dynamic or static balance of the subjects. Future studies should focus on comparing the performance-enhancing effects of a whole body vibration to those of conventional resistance training and, as a broader objective, on investigating the possible effects of vibration on structure and strength of bones, and perhaps, incidence of falls of elderly people. Effect of a vibration exposure on muscular performance and body balance. Randomized cross-over study. Torvinen S, Kannu P, Sievänen H, Järvinen TA, Pasanen M, Kontulainen S, Järvinen TL, Järvinen M, Oja P, Vuori I. Journal of Sports Sciences (JSS), 12(6), ?? – ??. In this study, we investigated a new method of training for maximal strength and flexibility, which included exertion with superimposed vibration (vibratory stimulation, VS) on target muscles. Twenty-eight male athletes were divided into three groups, and trained three times a week for 3 weeks in one of the following conditions: (A) conventional exercises for strength of the arms and VS stretching exercises for the legs; (B) VS strength exercises for the arms and conventional stretching exercises for the legs; (C) irrelevant training (control group). The vibration was applied at 44 Hz while its amplitude was 3 mm. The effect of training was evaluated by means of isotonic maximal force, heel-to-heel length in the two-leg split across, and flex-and-reach test for body flexion. The VS strength training yielded an average increase in isotonic maximal strength of 49.8 percent, compared with an average gain of 16 percent with conventional training, while no gain was observed for the control group. The VS conventional training and 2 cm for the control groups, respectively. The ANOVA revealed significant pre-post training effects and an interaction between pre-post training and ‘treatment’ effects (P less than 0.001) for the isotonic maximal force and both flexibility tests. It was concluded that superimposed vibrations applied for short periods allow for increased gains in maximal strength and flexibility. The aim of this study was to investigate and to compare the effect of a 12-wk period of whole-body vibration training and resistance training on human knee-extensor strength. Sixty-seven untrained females (21.4 +/- 1.8 yr) participated in the study. The whole-body vibration group (WBV, N = 18) and the placebo group (PL, N = 19) performed static and dynamic knee-extensor exercises on a vibration platform. The acceleration of the vibration platform was between 2.28 g and 5.09 g, whereas only 0.4 g for the PL condition. Vibration (35-40 Hz) resulted in increased EMG activity, but the EMG signal remained unchanged in the PL condition. The resistance-training group (RES, N = 18) trained knee extensors by dynamic leg-press and leg-extension exercises (10-20 RM). All training groups exercised 3x wk-1. The control group (CO, N = 12) did not participate in any training. Pre- and postisometric, dynamic, and ballistic knee-extensor strength were measured by means of a motor-driven dynamometer. Explosive strength was determined by means of a counter-movement jump. Isometric and dynamic knee-extensor strength increased significantly (P < 0.001) in both the WBV group (16.6 +/- 10.8%; 9.0 +/- 3.2%) and the RES group (14.4 +/- 5.3%; 7.0 +/- 6.2%), respectively, whereas the PL and CO group showed no significant (P > 0.05) increase. Counter-movement jump height enhanced significantly (P < 0.001) in the WBV group (7.6 +/- 4.3%) only. There was no effect of any of the interventions on maximal speed of movement, as measured by means of ballistic tests. WBV, and the reflexive muscle contraction it provokes, has the potential to induce strength gain in knee extensors of previously untrained females to the same extent as resistance training at moderate intensity. It was clearly shown that strength increases after WBV training are not attributable to a placebo effect. This randomized controlled study investigated the effects of 1-year whole-body vibration (WBV) training on isometric and explosive muscle strength and muscle mass in community-dwelling men older than 60 years. Muscle characteristics of the WBV group (n = 31, 67.3 +/- 0.7 years) were compared with those of a fitness (FIT) group (n = 30, 67.4 +/- 0.8 years) and a control (CON) group (n = 36, 68.6 +/- 0.9 years). Isometric strength of the knee extensors was measured using an isokinetic dynamometer, explosive muscle strength was assessed using a counter movement jump, and muscle mass of the upper leg was determined by computed tomography. Isometric muscle strength, explosive muscle strength, and muscle mass increased significantly in the WBV group (9.8%, 10.9%, and 3.4%, respectively) and in the FIT group (13.1%, 9.8%, and 3.8%, respectively) with the training effects not significantly different between the groups. No significant changes in any parameter were found in the CON group. WBV training is as efficient as a fitness program to increase isometric and explosive knee extension strength and muscle mass of the upper leg in community-dwelling older men. These findings suggest that WBV training has potential to prevent or reverse the age-related loss in skeletal muscle mass, referred to as sarcopenia. This shall serve to notify anyone reading this paper that no claims are made as to the effectiveness of this technology to cure or treat any known or unknown medical conditions. As always, your physician should be consulted before utilizing this or any other related technology. Thanks for the studies Tom. EPIC article on vibrational energy frequencies. Hi there, yes this post is genuinely good and I have learned lot of things from it about blogging. Wonderful website. Plehty of useful info here. Hello there! Thiss is my first visit to your blog! We are a group of volunteers and starting a new project in a community in the same niche. Hello! I’ve been following your weblog for some time now and finally got the bravery to go ahead and give you a shout out from Dallas Texas! of this secto don’t notice this. You must continue your writing. I am really impressed with your writing sills as well as withh the layout in your weblog. Is that this a paid subject or did you customize itt your self? Finally I have found something whicch helped me. Thanks! must bbe pay a visit this web site and be up to date daily. Hello, just wanted to say, I lovved this article. with you (not that I personally will need to…HaHa). You definitely put a new spin on a topic that’s been discussed for years. Please feel free to share with anyone! to here. Again, awessome site! I welcome your comments and would love to review and then post on this site if relevant to the topic. The clarity in yoour post is simply cool and i could ssume you are an expert on this subject. Thawnks a million and please contyinue the enjoyable work.